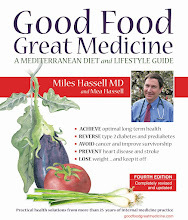 Reducing attention-deficit/hyperactivity disorder (ADHD) with – the Mediterranean diet! In a 2017 study of children and adolescents with ADHD compared to matched controls, adhering to a Mediterranean diet pattern was associated with almost one-third of the risk of developing ADHD. The study noted that a “higher frequency of skipping breakfast and eating at fast-food restaurants” were associated with a higher prevalence of ADHD diagnosis. Whether for ADHD, depression, or dementia, it looks like the Mediterranean diet is the choice to make to reduce your risk. This is a particularly important consideration for parents: the food habits we model and teach our children have a profound impact on their long-term health – including mental health. Eat a whole food Mediterranean diet low in refined carbohydrates (like sugar, white flour, sweet drinks – including ALL fruit juice) and high in healthy fats (like extra-virgin olive oil, avocados, oil-rich fish). Eat breakfast and skip the fast food! Structure your day and keep to your schedule as much as possible; including 30–60 minutes of vigorous activity, preferably outdoors (brisk walking or energetic yard work), and adequate sleep. Reduce screen time: use the computer for work and the smart phone for phoning – and minimize screen-based entertainment.